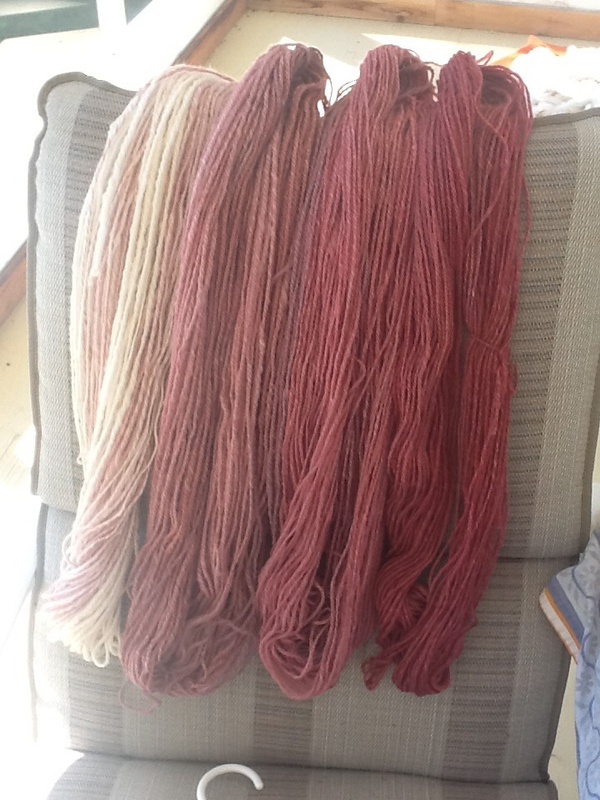 Guild challenge: using 4 oz of fiber from another Guild member, spin up and create a scarf or shawl. 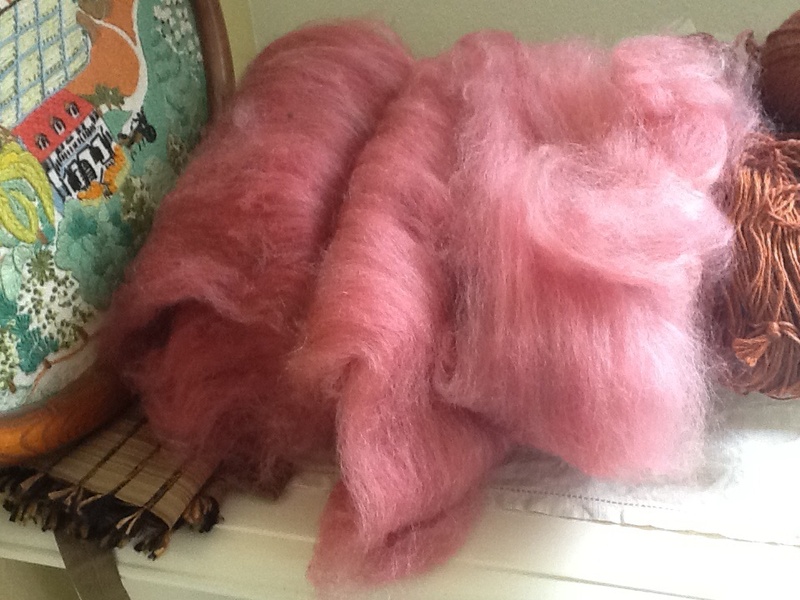 You will receive back the finished piece from the fiber you contributed. 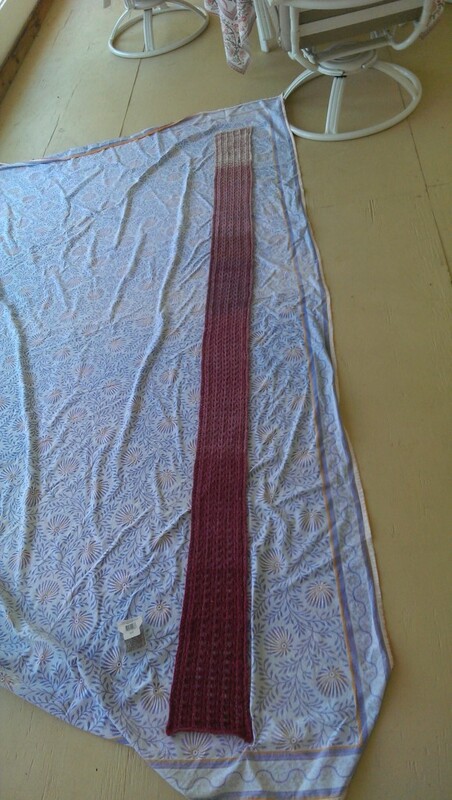 I chose to separate out the colors in the mottled pink braid I received and turn out an ombré scarf.